Ministers of Foreign Affairs of the Czech Republic, Hungary, Poland and Slovakia (the Visegrad Group) met in Prague on March 5, 2012. Their discussion primarily focused on further extension of the cooperation between the V4 countries and the Eastern European partners. Ministers confirmed that the all-round assistance for the Eastern European partners remains continuously one of the crucial V4 priorities. The V4 supports the rapprochement of the Eastern European partners towards the EU. It is reflected in a broad spectrum of activities of the International Visegrad Fund which is increasingly financially contributing to diverse grant and mobility programs in the Eastern Partnership region as well as in the program of the current Czech V4 Presidency. The upcoming Polish V4 Presidency also intends to maintain the EaP as one of the priorities. In order to support political and socio-economic reforms in the partner countries, facilitating comprehensive approximation towards the European Union, strengthening the regional cooperation among the Eastern European partners and enhancing institutional capacity and civil society, the Ministers of the Visegrad Group established a new program "Visegrad 4 Eastern Partnership" (V4EaP) within the International Visegrad Fund. This initiative was based on the decision taken by the Prime Ministers of V4 at their summit in Bratislava on June 16, 2011. The V4EaP program aims at further strengthening of co-operation among civic societies in both regions, generating synergies with the Eastern Partnership program, providing support to successful transformation of the countries. 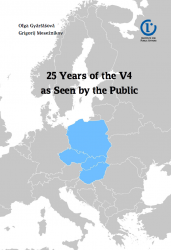 Providing access to the V4 countries’ experience this new program with its four pillars—Flagship Projects, Standard Grants, Visegrad University Studies Grants and scholarship programs—should also contribute to acceleration of political association and further economic integration between the Eastern European partners and European Union. Reflecting the interest of both, the Visegrad Group and the Eastern European partners, the program will be built-up gradually, starting with activities in such areas as democratization and transformation process, regional co-operation and support for civil society. With time and increasing experience, the extension of the V4EaP program to other sectors is expected. The program remains open to other international donors. The Ministers approved the Rules of the V4EaP program enabling its start, introduced the program’s key elements to the Ministers of the Eastern European partners and invited civic sector, municipalities and other interested entities for cooperation with Visegrad partners.